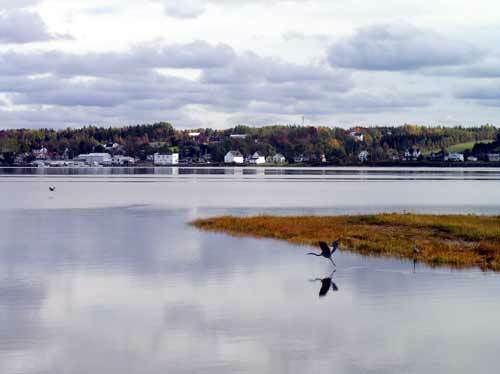 Wallace is a picturesque rural community on the shores of the Northumberland Strait in Cumberland County of Nova Scotia, Canada. Our views and vistas have all the beauty that comes with unspoiled ocean frontage. All the necessities are readily available, restaurants, and a variety of shops. Enjoy nature using our public roads and trails or from the waters of our harbours and river including the wide variety of birds that frequent the local sanctuary. Museums, golf courses, and renown Jost Winery are some of the places to visit. Ski Wentworth for the winter holiday makers.